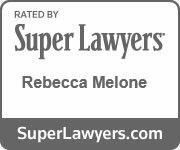 Trust & Estate Attorneys Reston & Northern VA - Melone Law | Melone Law, P.C. At Melone Law, P.C., we help individuals and families achieve their estate planning goals. Whether you are seeking assistance drafting a simple will or you need to litigate a contested estate matter, our firm will be there every step of the way. Whatever your estate planning goals are, your plan will be customized to your specifications to ensure your wishes are fulfilled. Having a comprehensive estate plan in place can ensure you minimize court costs, legal fees, and tax implications for you and your loved ones. Call today for a consultation.